Jane Eyre is out this March. I've been looking forward to seeing it but here at home on tape. What a nice surprise it was to learn of a remake. I plan to watch it this Monday. Hopefully it's wonderful so I'll want to go see it in the theater. My sister can read a book. When we were growing up three of her walls were taken up with books. I'm talking floor to ceiling. I love getting into a book. Its just not in me like some people. 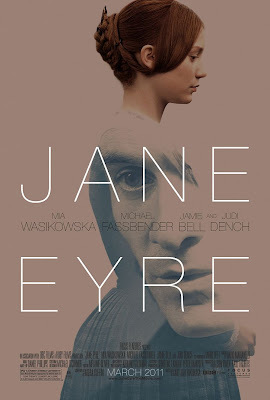 If it were in me would I have read Jane Eyre? I've read one Harry Potter, a couple dozen average and Anna Lee Waldo's Sacajawea. I'm happy with that list but would like to add more. Some days I wish I was a reader. category of attic movies politely waiting their turns. "attic movie". They are VHS' so most likely this kind of item would be in your attic. Nicely stored for a later cameo, yard sale or deep-sixed. Anything like that can be an attic item: books, clothes, linens or furniture.